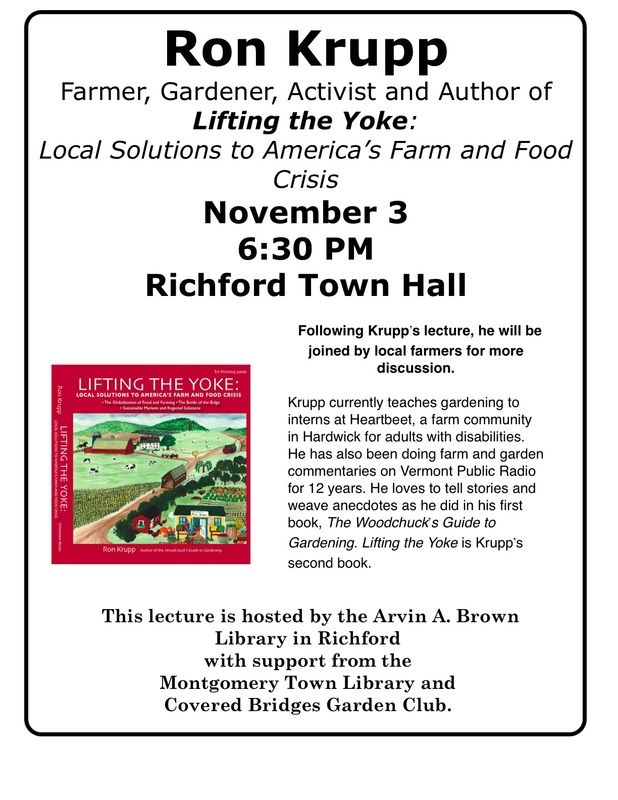 Vermont author, farmer and gardener Ron Krupp will speak will speak on Wednesday, Nov. 3, at 6:30 p.m. at the Richford Town Hall, in an event sponsored by the Arvin A. Brown Library and supported by the Montgomery Town Library and Covered Bridges garden Club . Following Krupp’s lecture, he will be joined by local farmers for more discussion. 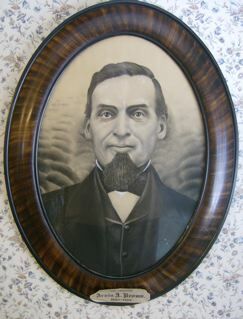 Local farm and food issues are nothing new to Krupp. He’s been involved with these topics in Vermont for nearly 40 years. He started one of the first farmers’ markets in the state in the early 1970s in Brattleboro. Years later, he attempted to create a year-round, enclosed, public market on the waterfront in Burlington. The market never got off the ground, though. Twenty-nine years ago, Krupp published “The Green Mountain Farmer,” a monthly Vermont newspaper dedicated to farm and food issues. He was a commercial organic/biodynamic vegetable grower for 10 years, and he coordinated the three-acre, 165-plot Tommy Thompson Community Garden in Burlington’s Intervale for 15 years. Krupp currently teaches gardening to interns at Heartbeet, a farm community in Hardwick for adults with disabilities. He has also been doing farm and garden commentaries on Vermont Public Radio for 12 years. He loves to tell stories and weave anecdotes as he did in his first book, “The Woodchuck’s Guide to Gardening.” “Lifting the Yoke” is Krupp’s second book.